There’s always a question about the best way to fill white walls. You can hang pictures, or install a patterned wallpaper. But to be really fun, try a wall mural! 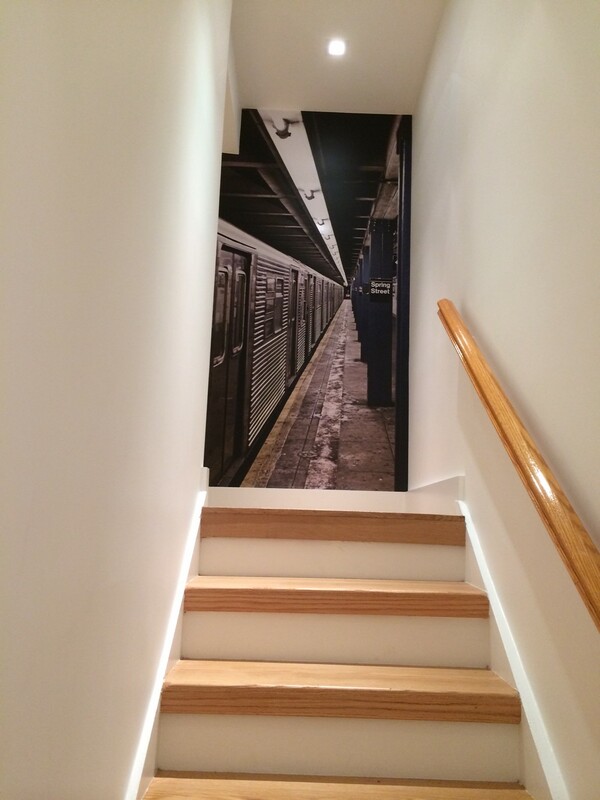 Our customer used a photo of a subway stop to make it look like you were about to board the train at the top of their stairs. We’ve seen the same photo used to dramatic effect in a bathroom too. It’s fun, and has a lot bigger presence than a photo on a hook. You can choose from millions of photos at your favorite stock photo site, and we’ll make you wallpaper that gives your home something special! This entry was posted in Custom Printed Wallpaper and tagged photo wallpaper, wall murals, wall pictures, wallpaper photos. Bookmark the permalink.